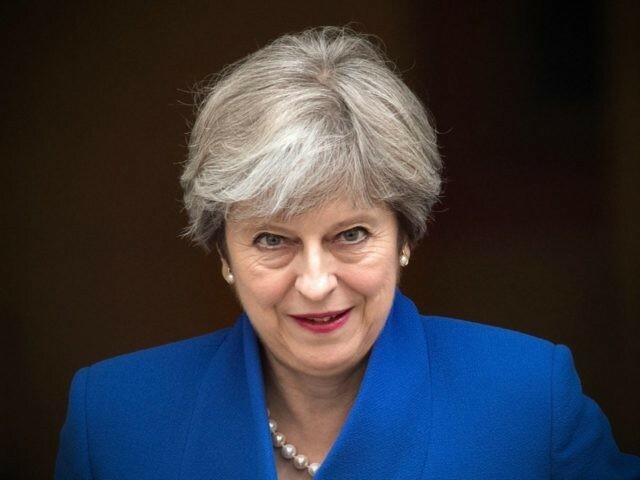 The EU has hinted at blocking trade talks until the bill is settled, and leading Tories believe Mr. May will use a major Brexit speech in Florence, Italy, next week to announce the offer, the Daily Mail reports. A source told the paper the Cabinet is “almost unanimous” in its support for the proposal, with only Foreign Secretary Boris Johnson arguing against a transition period and the bill. Mr. Johnson is said to advocate paying just £10 billion, but the EU’s chief negotiator, Michael Barnier, has hinted at as much as £90billion. In a 4,000-word essay on Facebook, Mr Johnson acknowledged the UK must “settle our accounts” but made no mention of a transition deal. Prominent Tory Brexiteer John Redwood backed Mr. Johnson and said there was no legal reason to continue paying money to the EU after Brexit. “Many of us don’t think there is any moral or political or legal reason to go on paying them once we have left. Indeed, I think it would be illegal to go on paying them once we have left,” he said. However Damian Green, the First Secretary of State and Prime Minister’s right-hand man, hinted yesterday that Britain was prepared to put forward an offer this week. “I think that the other capitals of Europe, the governments and the commission I hope and expect will welcome what the Prime Minister has to say. Mr Barnier has reportedly knocked trade talks back to October because of the issue. The European Parliament has called for the decision to be postponed until December. Brexit secretary David Davis hit back at the end of last month, accusing the EU of not being “pragmatic” or “flexible” enough during a heated press conference with Mr. Barnier. His team also insisted there was no legal basis for the demanded bill. Mr. Barnier, however, said he and his team would not move “one iota” from the Brexit mandate given to him by the other 27 member states, including the demand that EU courts make decisions on citizens’ rights. Last week, friends of International Trade Secretary Dr. Liam Fox claimed he was preparing for the UK to walk away from the EU without a trade deal.